BBS, or the Beirut Baptist School, is a private Christian school for students from nursery school through grade 12. Founded in the 1950’s, BBS established a high standard of education that led to its accreditation effective 2012 as a Quality School by the North Central Association Commission on Accreditation and School Improvement (NCA CASI) – an accreditation division of AdvancED. Over 90% of the 1,300 students come from non-Christian families who recognize the school’s Christ-centered values as a major benefit. Parents often attribute their children’s’ strong morals and positive contributions to family life to their BBS education. Students are exposed to faith-based teachings through bible classes and weekly chapel meetings, which is a testament to the open learning environment and progressive outlook of parents and students who are willing to learn alongside others from differing backgrounds and viewpoints. Another strength that BBS offers the community is a Special Education Program for students with learning differences. Counselors and educators with expertise in Special Education observe students who exhibit different learning needs and intervene with individualized assistance or internationally recognized assessments when deemed appropriate. In such cases an Individual Education Program (IEP) may be designed for the student to meet their specific needs and to ensure that they will be able to continue their educational development within a school setting. 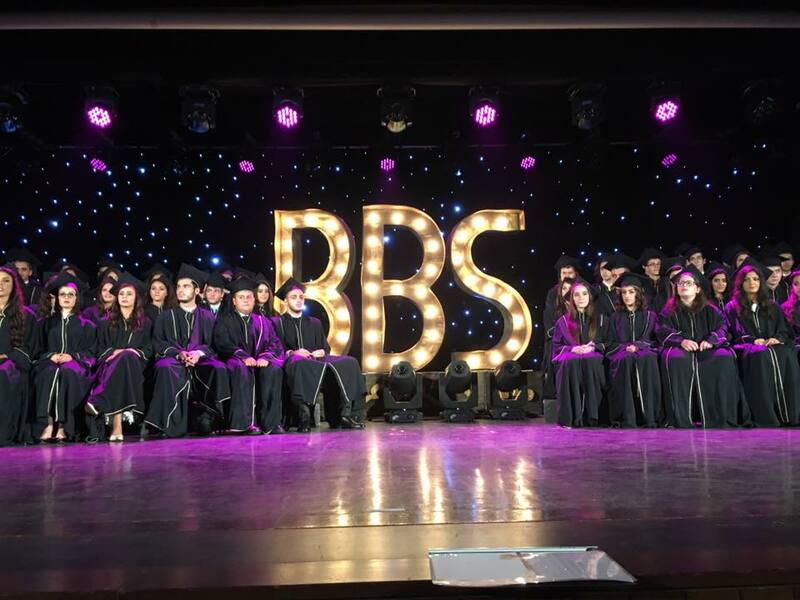 In such a diverse country, BBS has the great honor and responsibility of furthering knowledge, truth, faith, tolerance and understanding for the future leaders of Lebanon. The SKILD Center is an oasis of hope for children with learning difficulties in Lebanon. The experience of Beirut Baptist School staff with students requiring special education, fueled the idea and motivation to make a lasting improvement in the lives of such children in Lebanon, where there are no laws safeguarding the rights of these individuals. Due to socio-cultural factors, children who are unable to find immediate success in mainstream schools are left with no other options for education and inclusion in society. They are often hidden away in homes, as many families are not aware of or do not have the ability to access appropriate resources. It is proven however, that when given the proper care and assistance, children and even adults are able to become integrated into their communities and may reach a certain degree of independence. The vision that started in BBS led to the creation of the SKILD Center in 2011, catering to the needs of children with learning differences and special needs in Lebanon. It is dedicated to providing individualized support and care for children from all socio-economic and religious backgrounds. Services are available in Arabic, English and French. The Center’s team of experts provides specialized services for a wide range of needs such as those with specific learning differences, speech and language impairments, ADD/ADHD, Autism Spectrum Disorder, emotional disturbance and mental delay. It offers professional assessment and evaluation, and intervention services such as speech therapy, special education, occupational therapy and counseling. In parallel, SKILD works with partner schools conducting assessments and following up on students with learning difficulties. The Center also holds an annual summer day camp, giving children the opportunity to experience special aspects of childhood as other children are able to. The six-week educational program supports parents during the summer months, as consistent attention to needs of SKILD beneficiaries is important for continued progress. The program connects children who may have similar needs, which can lead to transformative friendships, solidarity and ultimately, a community of acceptance to belong to. Another contribution of the SKILD Center to Lebanese society as a whole is its work to create community awareness about the realities and possibilities for children with learning differences. A major success of such efforts was SKILD’s leading role in the creation of the annual National Day for Students with Learning Difficulties, designated on April 22, 2013. This work continues as the Center is working with partners to conduct research on the demographics of individuals with special needs within Lebanon. On another level, and with the influx of Syrian refugees into Lebanon, SKILD is currently involved in the provision of psychosocial support to refugee children enrolled in community based programs and soon in public schools too.